The hottest sale is coming this summer! Planning for your out of the country trip? Looking for the ultimate Summer Getaway? Just need a simple staycation this Summer? You’re in for a big surprise from the Top-rated Hotel Chain in Asia, ZEN Rooms! For our hottest promo yet this year, ZEN Rooms is giving you early access to exclusive discounts of up to 50% Off on hundreds of ZEN Rooms all across Southeast Asia: Philippines, Indonesia, Malaysia, Thailand, Singapore, and Hong Kong. Simply register and sign up here to get exclusive early access to the sale! Early Sale for signed up members will start on April 4, 12 nn. 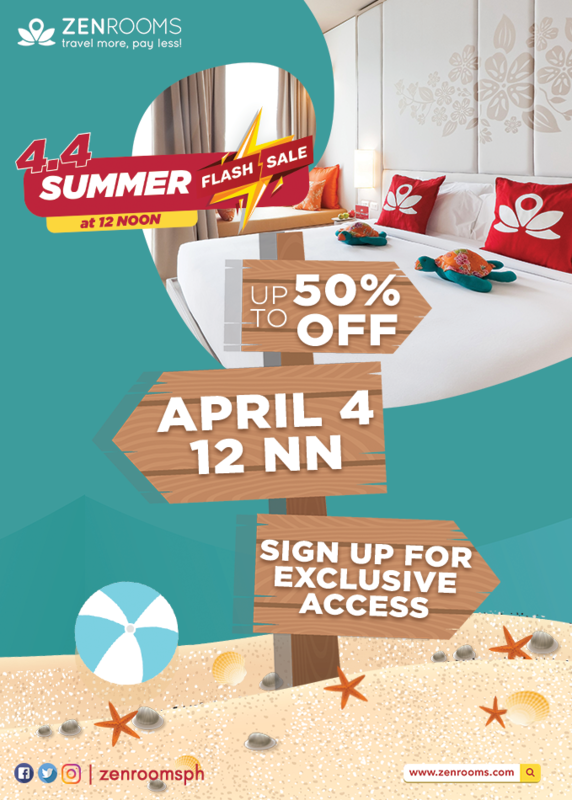 Get the chance to book your vacation anytime from April 4 to May 5, 2019! Stay tuned on our social media pages for more updates and amazing news!